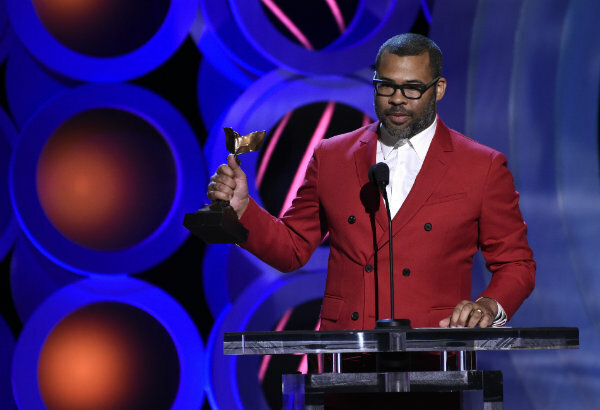 Jordan Peele’s “Get Out” won best film and best director on Saturday at the 33rd Independent Film Spirit Awards, a day before the horror sensation will vie for top honors at the Academy Awards. But as the Oscars have gravitated toward honoring indie films, the two have come closer to mirroring each other. The last four Spirit winners for best film (“Moonlight,” ‘’Spotlight,” ‘’Birdman,” ‘’12 Years a Slave”) have won best picture at the Oscars. But the film many consider the Oscar front-runner — Guillermo del Toro’s modestly budgeted “The Shape of Water,” up for a leading 13 nominations Sunday — was completely overlooked by the Spirits.